Check out this year's rising stars and read about their accomplishments at work and in the community. See more in the print edition of Forty Under 40, delivered with the Feb. 8 issue of IBJ. "I don't think I have the attention span to listen to podcasts. I watch a lot of TED Talks or listen to NPR. 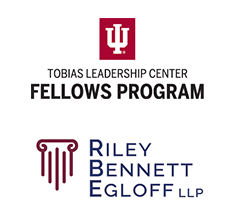 "ROI Podcast from the Kelley School, of course." 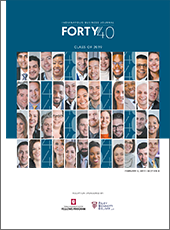 Check out an online version of IBJ's special 2019 Forty Under 40 supplement here. Check out lists of Forty Under 40 honorees from previous years.